This week we’re giving you a taste of what you can find in Voyager, a showcase of interactive tours and stories from experts, nonprofits and more in the new Google Earth. When you opened Google Earth for the very first time, where did you go? For most people there's a common destination: We all want to see our home. The definition of “home” changes by country, culture and climate. 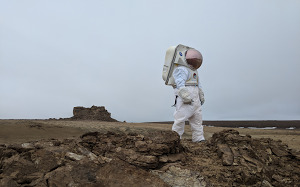 In the Voyager story This is Home, you can explore how humans have adapted to their own unique landscapes across our planet by looking at the most personal of places. Visit igloos inhabited by generations of Inuit people long ago; listen to stories in the colorful home of Kancha Sherpa; or head to the desert and learn how an extended drought has changed the lives of the Bedouin people. Visit a welcoming and tightknit community in Greenland with more sheep than people. To tell these stories, we worked with partners and communities to digitally preserve homes of different cultures in Street View. 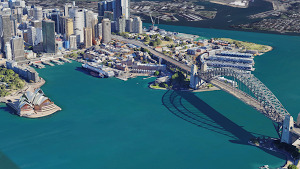 The 360-degree imagery provides a snapshot in time of cultures facing economic, environmental and population pressures. For example, the Inuit people of Sanikiluaq have been building igloos for schoolchildren to learn in for decades, but in recent winters conditions haven’t been cold enough to create the right type of snow. It’s important to record this snapshot in time now, because some of these lifestyles may be disappearing. Check back in the coming months as we take you to dozens more homes and cultures. And thank you to the families who invited us into their homes and the partners who made it possible!